This modern 600 Series Urinal Bowl is brought to you by RAK. 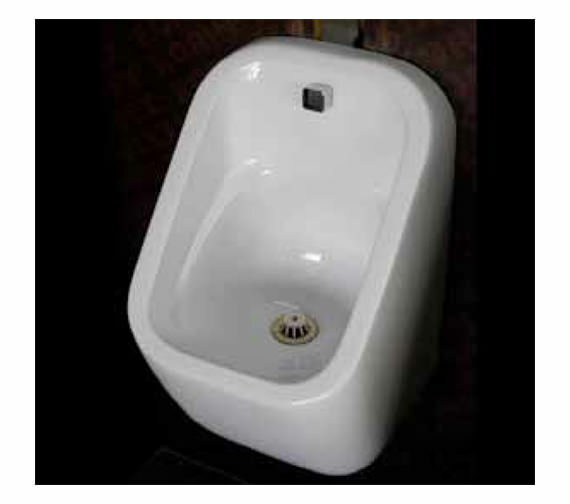 The skillfully crafted urinal is made from top-quality Vitreous China and is efficacious in utility. It carries a pristine white finish, which looks appealing and blends completely with any style bathroom decor. The wall-hung fixture is supplied with fixing brackets, for additional convenience. It also features concealed trap that offers a neat and tidy look to the surrounding. You can make a separate purchase of the spreader and waste with this creation. Partition Panel - URIDIV [See Option]. Accessories for use with urinal. Please Note : Image shown is for illustration purpose only. High quality, strong and durable Urinal waste. Please note image is foe illustration purpose only.